Jumping and sliding down the waterfall in an unspoiled gorge is definitely the activity you cannot miss. 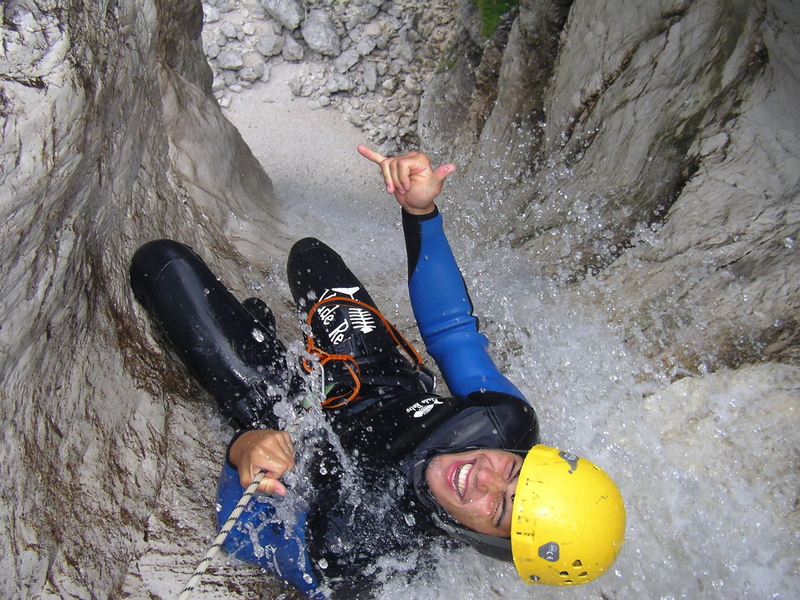 As we have many streams in Bovec area, there is no problem to find the right challenge for all type of adrenalin junkies. Sliding down the 6m waterfall or rappelling the 50m one is all your choice.